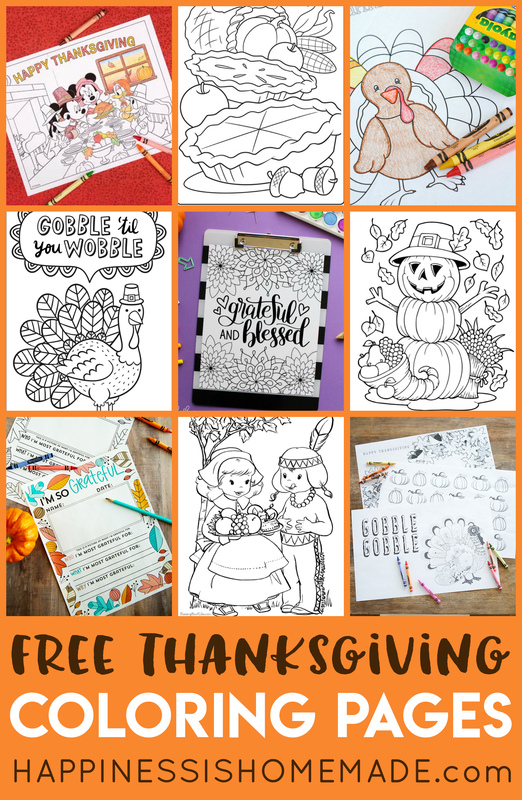 This FREE printable Thanksgiving coloring & activity book is the perfect way to entertain the children at the kids table before the big meal! SUPER cute! 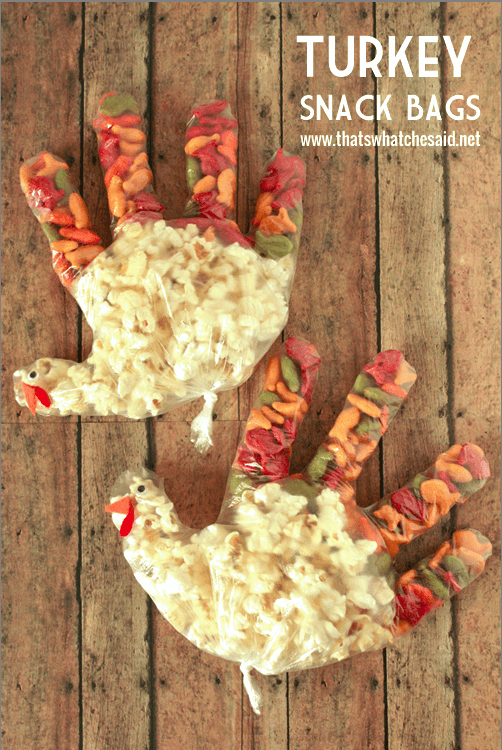 I love gathering together with my family to celebrate the Thanksgiving holiday, and I love spending all day in the kitchen helping to prepare the big meal. 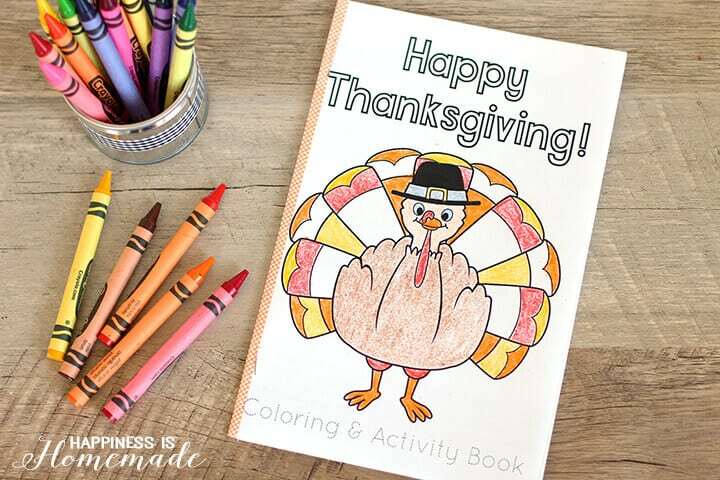 The kids, however, aren’t always as patient as they wait for the feast, so I created this adorable Thanksgiving activity & coloring book to keep them busy until dinnertime! 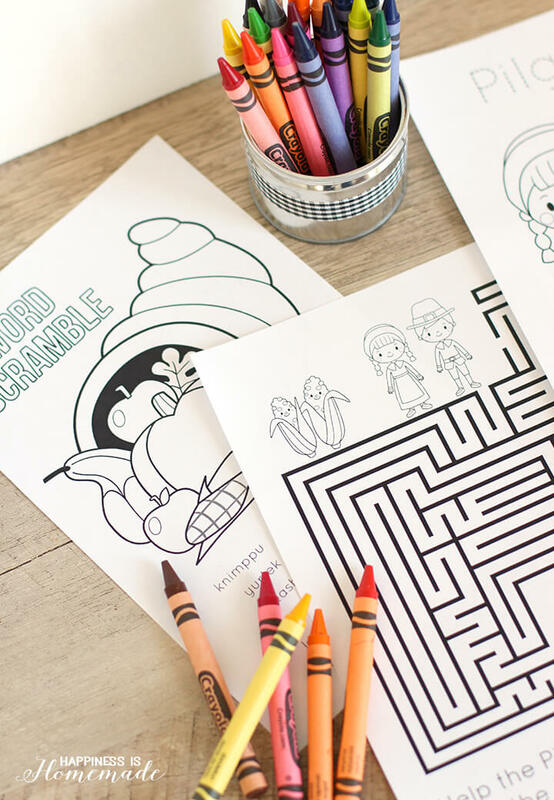 Inside the book, there are 8 different pages of activities and coloring sheets. 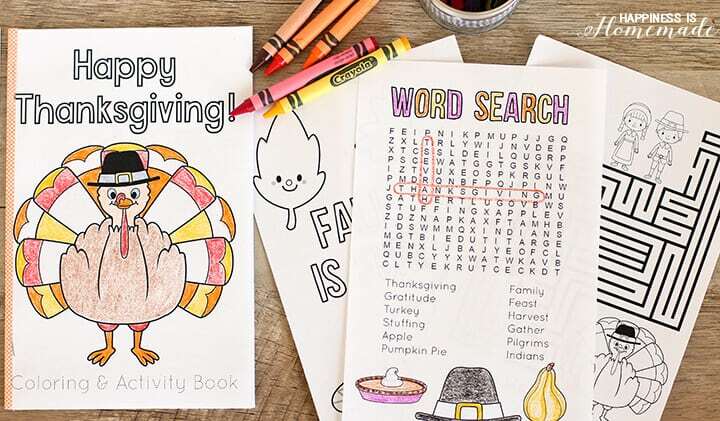 Some of the highlights include a word search, maze, tic tac toe sheet, gratitude list, and word scramble. 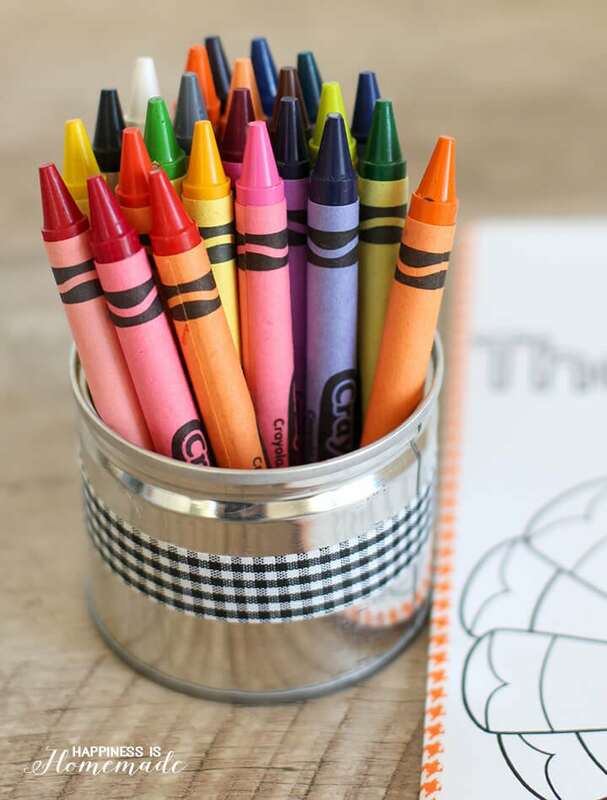 I wrapped some cute washi tape around recycled tin cans, filled them with crayons, and placed them in the middle of the kids’ table so that everyone had plenty within reach. Print Page 1 (the cover sheet) on to a single sheet of heavy paper or cardstock. Fold in half. 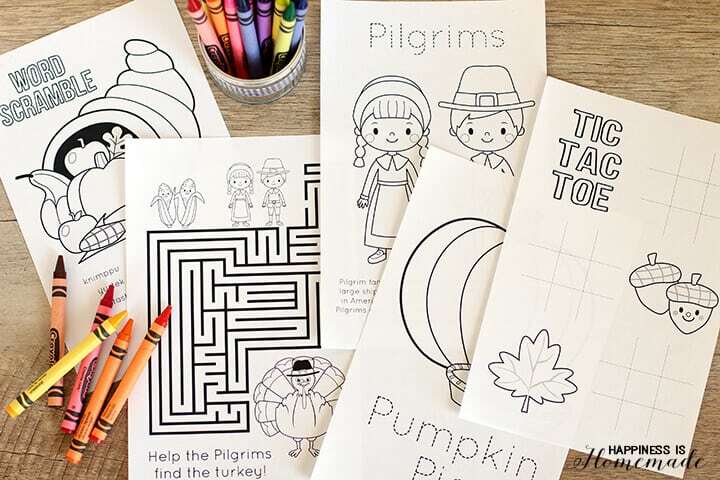 Print Pages 2-4 (coloring & activity pages) double-sided on to two sheets of printer paper. Fold both sheets in half. 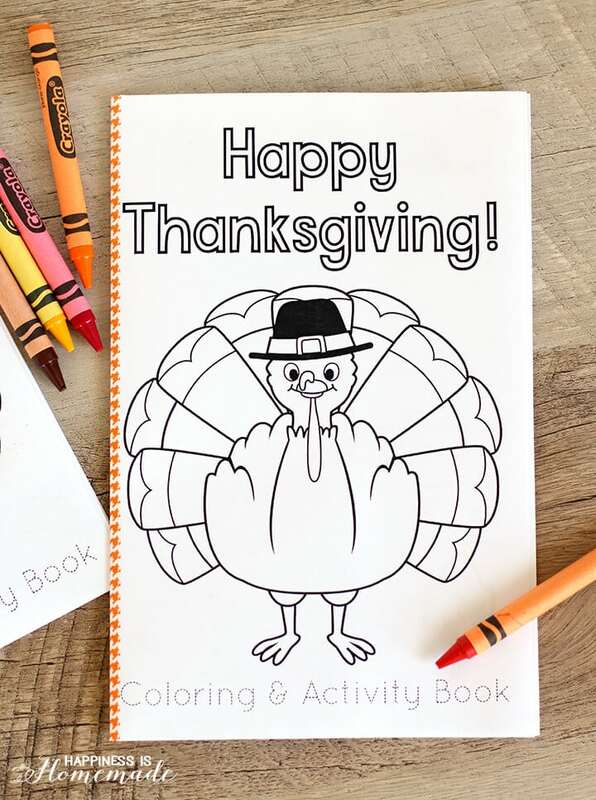 Insert the coloring and activity pages inside of the cover and staple along the edge. 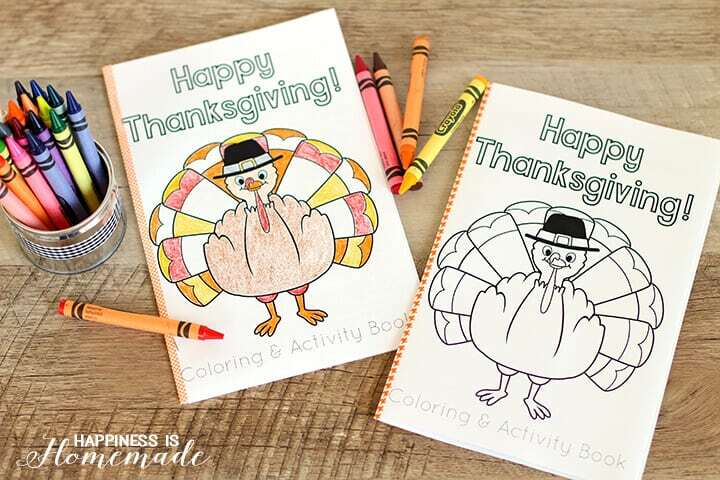 These coloring books would be perfect for the kids’ table along with these adorable Turkey Snack Bags from That’s What Che Said! Very cute, my kids will love this. Thanks so much! This is a great idea. I love playing with my nieces and nephews when we get together for the holidays. 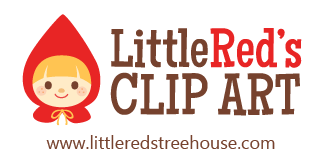 I’m printing a few to take with me and we have a coloring contest!!! Thanks for sharing! This is so great Heidi, thank you so much for all your hard work! !